On our way to the Asian premiere of Burma Storybook at the HKIFF Hong Kong International Film Festival, we decided to make a stopover in Bangkok – so we could make a short side trip to Myanmar. We are not planning to screen the film here yet… the film first needs to go through the censorship board and we are waiting for the best moment to premiere the film in a festive way to a large audience. And we came with a plan! Just before the Burmese New Year ‘Thingyan’ (the Water Festival) we decided to travel back to Pathein, to the house of the old poet Maung Aung Pwint and his family, where much of our film was shot. In our very first encounter he said: -‘let’s make a long poem together’. And this started our long and rewarding journey to Burma Storybook. 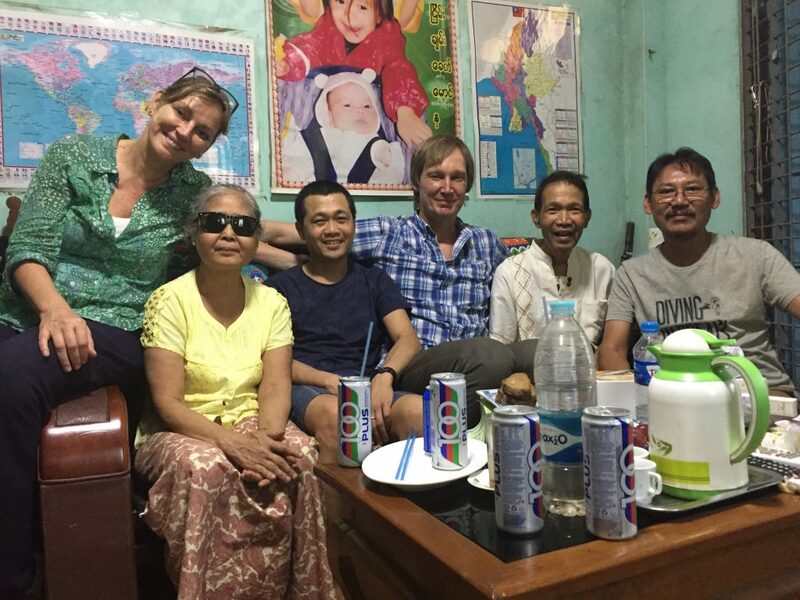 We were certainly not alone… simultaneously the son of Maung Aung Pwint, Nyein Chan Aung, travelled from Finland to reunite with his father and the rest of his family again – now for the second time (their first reunion in twenty years is one of the highlights in Burma Storybook). Photo: together with Maung Aung Pwint, his wife Daw Nan Shwe Nyunt, their son Nyein Chan Aung and poet Khin Aung Aye. This second reunion was made possible with the extremely generous financial help of a Dutch couple. 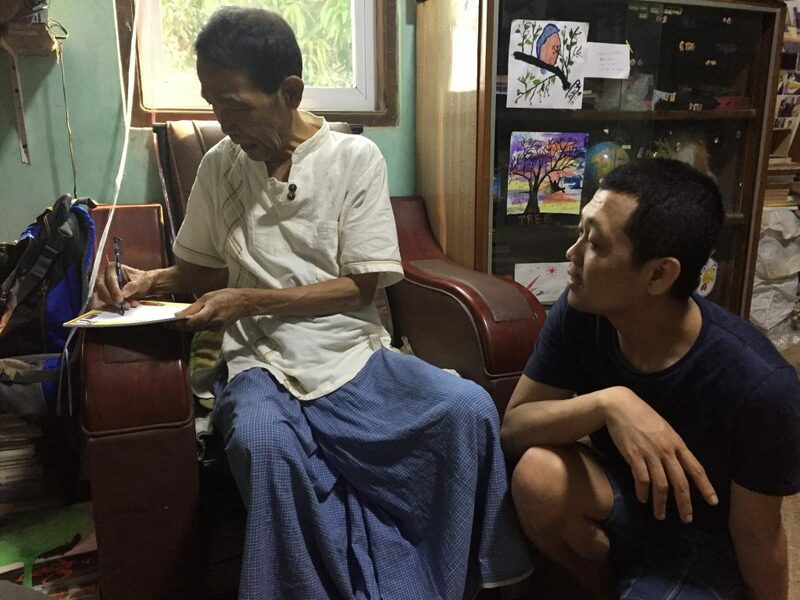 Photo: Maung Aung Pwint signs one of his poetry books for the Dutch couple that sponsored his son Nyein Chan to travel back to Burma. We were also together with our dear friend poet Khin Aung Aye, who has been the poetry consultant for the film and co-writer in the Burma Storybook book that will soon be released. 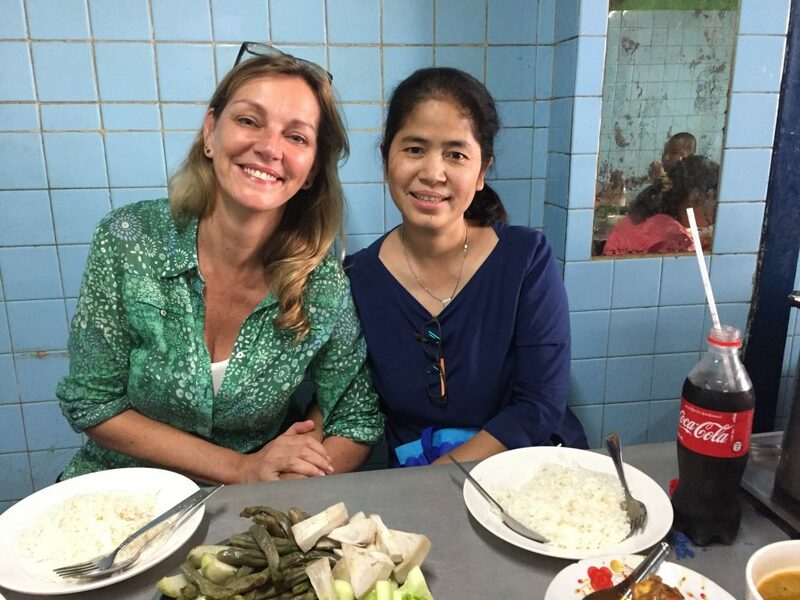 Photo: Corinne with writer/journalist and poet Myat, one of the founders of the HRHDIFF Human Rights Human Dignity International Film Festival – who first invited us to Myanmar. She was also the one who introduced us to Maung Aung Pwint. 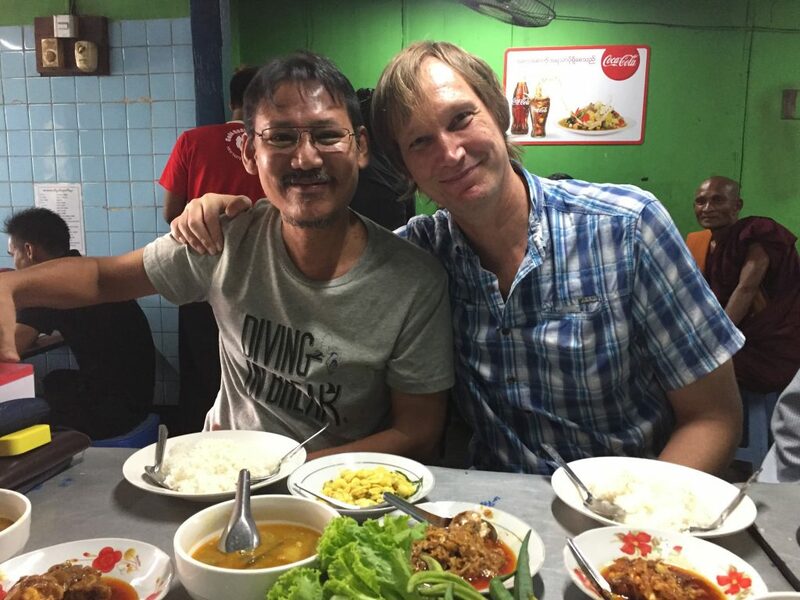 Photo: Maung Aung Pwint and San Zaw Htway, who apart from having an important part in the film also extensively travelled with us for translations and support during the filmmaking. 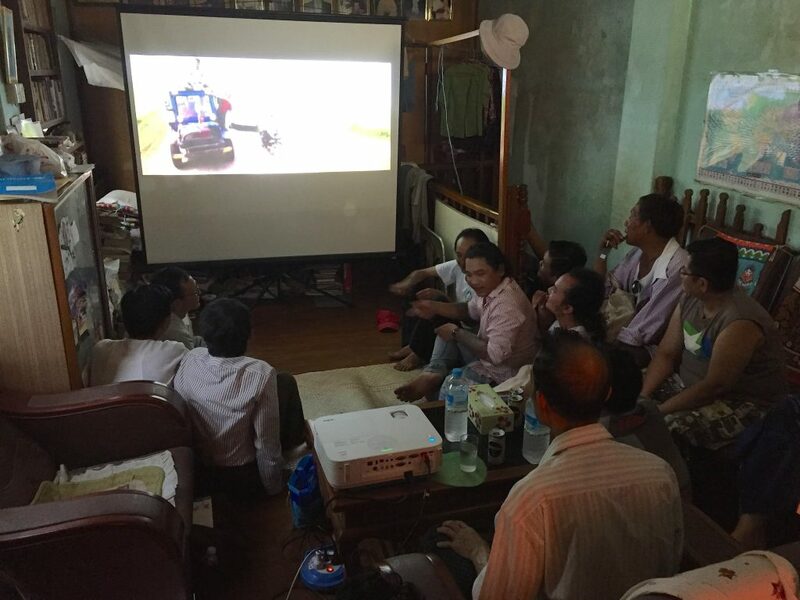 Photo: the small screening in Maung Aung Pwint’s house – in the very location that is much seen in the film itself – was magical. Without a doubt this was one of the most beautiful screening in our lives. 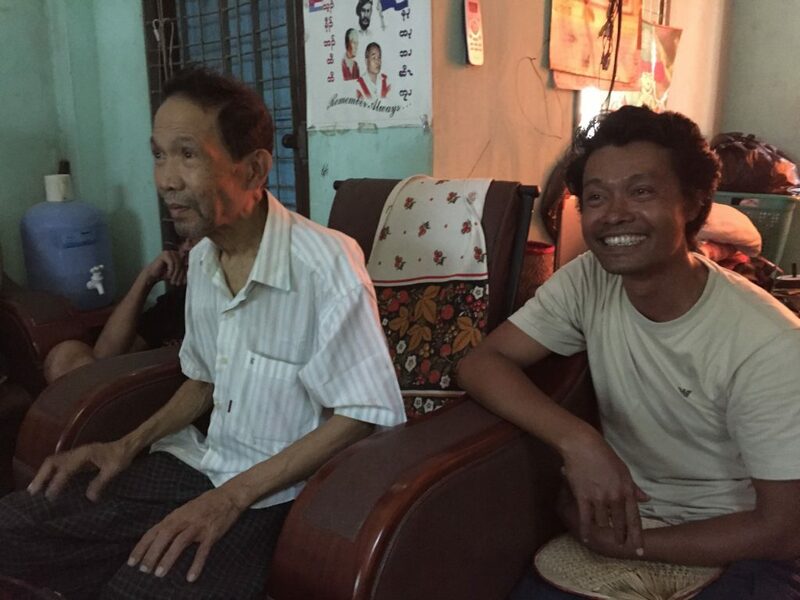 We feel blessed to have been able to bring the film back home – and to show it to Maung Aung Pwint who is fortunately still in relatively good health (he suffers from Parkinsons). And also together with his loved ones and some of our closest collaborators. It could not have been more perfect. Over the past days in Yangon we have also been pre-producing our impact project. We aim to return after the monsoon, in the fall of 2017, to screen the film for free to a 2-million Burmese audience all over the country in a Free Cinema Tour and Distribution Project.